- Please note that on any shipment to Canada, the International Deep Clean Mop will be substituted. Due Canadian restrictions on package size, The Deep Clean Mop cannot be shipped to outside the United States. 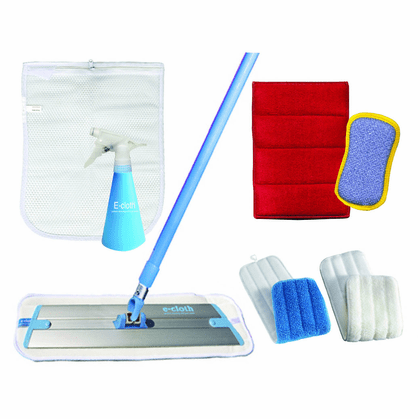 This value pack includes our best selling mop and washing up pad. Reuseable heads and cloths guaranteed for 300 machine washes which allows for 6 years of cleaning with weekly washes.